Was there someone special in your life as a child who helped you form your understanding of the Lutheran faith? Perhaps your early learnings could have benefitted from a bit more unconventional teaching? During the Reformation anniversary last year, many children in the Western North Dakota Synod received that very opportunity. Funded, in part, by an ELCA500 grant, the “Martin Luther and the Family Table” workshop series equipped parents, grandparents and other caring adults with the tools to creatively teach the Small Catechism to children and youth. Workshop participants try out the activity to teach children the Ten Commandments. 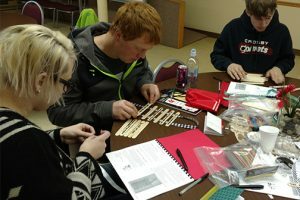 The three-hour workshops, which also included a resource book with activities and conversation guides, focused on helping adults engage with children in discussions and activities about the various parts of the Small Catechism. Presentations first provided a foundational understanding of Luther’s purpose in writing the Small Catechism and of faith formation to spark ideas about simple ways to integrate faith talk into family life. To solidify learnings, two 20-minute segments explored a greater understanding of the topics. First, a teaching segment zeroed in on each primary portion of the Small Catechism: the Ten Commandments, the Apostles’ Creed and the Lord’s Prayer, and a hands-on activity for adults to practice a faith-formation activity to gain comfort in leading these activities with young people in their lives. 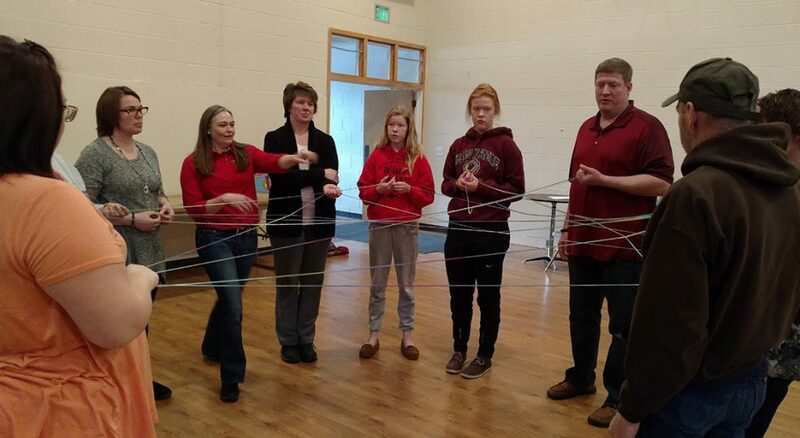 The Lord’s Prayer activity gets a trial run with workshop participants. The impact of this Reformation anniversary grant program is far-reaching with both individual youth and adults sharing insights and appreciation as well as congregations requesting similar events in their area. Many thanks to the behind-the-scenes local leaders who created and taught resources that are now part of the “Martin and the Family Table” content available for download on the synod’s website. In addition to these workshops, the synod’s anniversary grant also funded lay leader workshops. 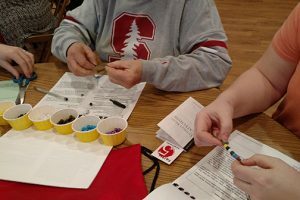 Four workshops ran from November 2016 through April 2017 attracting more than 270 attendees who learned about a host of topics from Dietrich Bonhoeffer as a youth worker to worship as an act of Reformation.